A recent new find of mine in the skincare world comes in the form of Allies Of Skin. A skincare brand which has become an instant cult hit that focuses on smart, multi-tasking products to fit around modern lives. Allies Of Skin features many potent antioxidants and intelligent nutrients which work effectively together to adapt to your skins needs! On first glance at the name, I immediately thought that this product was going to be a mask and I was rather excited to try this out, however, despite its namesake, I quickly learnt that this is in fact a moisturiser which has the potency and all of the benefits within a mask! Featuring ingredients such as Hyaluronic Acid blended with Acai Oil which helps to infuse essential fatty acids, intense moisture and nutrients. I applied this first thing of a morning after cleansing my skin and could almost instantly see that my skin had a fresher, dewy glow to it and looked completely refreshed! The consistency of the All-Day Pollution Repair Mask was light on my skin and absorbed quickly and efficiently into my skin. To purchase, click here. This product is a leave-on mask and is used nightly which works as both a curative and a preventive measure to help keep skin clear. Formulated with alpha hydroxy acids, enzymes and antibacterial colloidal silver, this powerful formulation helps to soothe irritation, clear the skins complexion all the while unclogging pores and blemishes. I left this mask on overnight consecutively for a couple of nights before noticing a difference. To begin with, I experienced a breakout which was to be expected given that your skin needs time to adjust, however, once the breakout subsided, my skin looked a lot clearer and felt smooth to touch! I also particularly enjoyed the scent of the lavender which I found soothing, especially on a nighttime. The consistency again like the All-Day Pollution Repair Mask was light and easy to apply. To purchase, click here. A multi-tasker formulated with Manuka Honey and salicylic acid, this 2-In-1 combination helps to keep your skin looking smooth, fresh and clean without feeling dry and irritated. I applied this as both as cleanser and a masque and I have to be honest, as a cleanser, this just did not work for me. I found the consistency far too thick to use as a cleanser and the performance of it as a masque was much better! I left this on for around 10 minutes before rinsing off and immediately my skins appearance was brighter, and had a fresh glow to it. To purchase, click here. 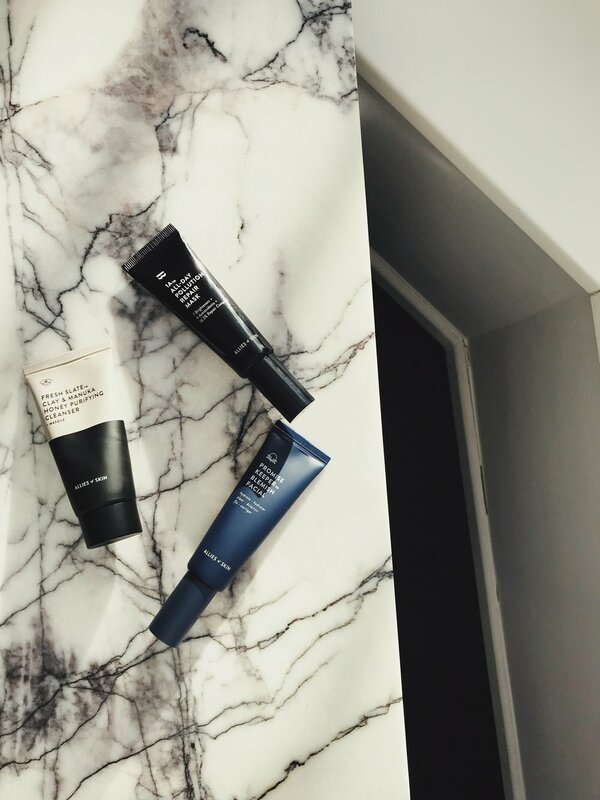 To conclude, these products were a great introduction to the Allies Of Skin brand for me and I would recommend trying out the All-Day Pollution Repair Mask as this was a personal favourite of mine! To get more of an insight into Allies Of Skin, click here. Have you tried any of these products mentioned? If so, which ones and what are your thoughts? Have you tried any other Allies Of Skin products before? Are there any you feel I should try out? Let me know below as I’d love to hear from you and don’t forget to click the ‘like’ button!